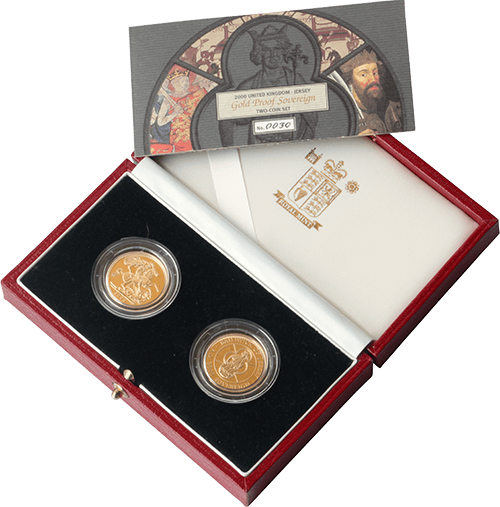 A Gold Sovereign is a gold coin first issued in 1489 for Henry VII of England and still in production as of 2008. The gold content was fixed at the present 113 grains (7.322 g). 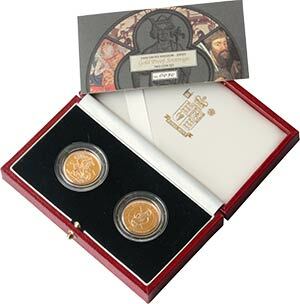 This beautifully presented set contains two full Gold Sovereigns.